This is a guest post written by Bert Seither. Want to contribute? Check out the 2016 publishing calendar. As a coach, you probably know too well how much of a back-and-forth psychological game sales can be when attempting to sell any product or service. One of the most critical junctures in the sales process rears its head when it’s time to close a deal. Much like a job interview or first date, there are certain things you should say and do and, of course, things you should avoid. 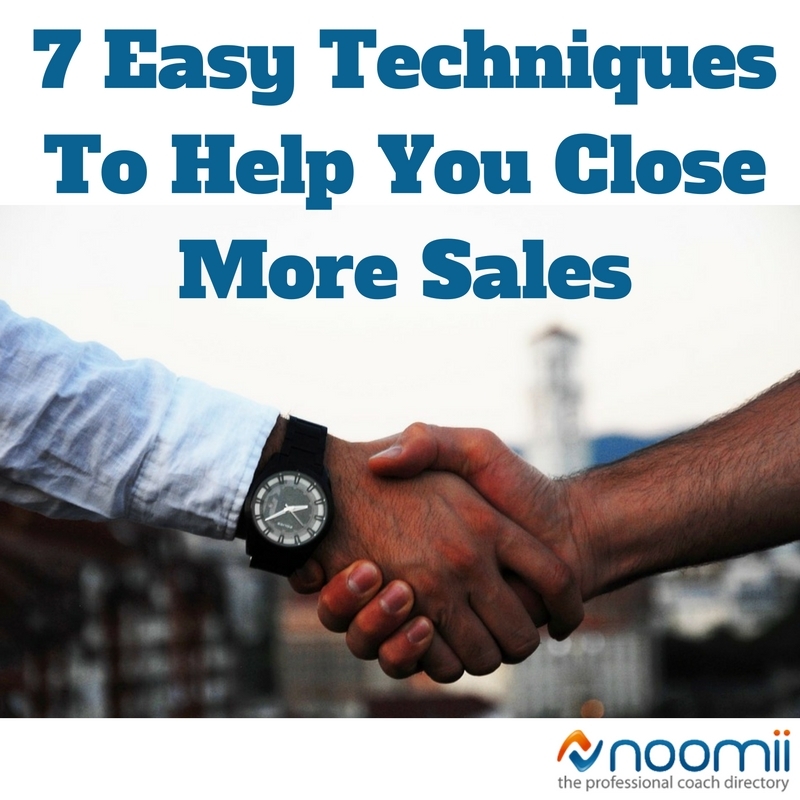 Here are seven simple techniques you can use in your coaching business to improve your close rates and drive more sales. Along with listening intently, look out for how a client is acting and responding to you. Whether you’re trying to close a sale in-person, by phone or even online, a client’s emotions often play a big role in buying decisions. If someone is upbeat and seems to be in a good mood, consider playing up this emotion by telling the person how they seem like they’re in a good mood. If you come across a potential client who seems to be annoyed or distracted, it’s often best to reschedule another time to talk so you can follow-up when the person is in a better headspace and when you’ll have a better chance of closing your sale. During a close, you should always be honest and realistic about what you are trying to sell. Never tell a potential client that you might be able to give them a discount on a service you offer if there’s no chance of it ever happening. It’s actually more effective to avoid playing up your coaching services so that the client is even more satisfied with what they’re getting and may become a long-term, loyal client of yours after this level of trust is established. During your close, silence can be golden. This is where you give the customer time to interject what they are thinking about your coaching services and if they really want them. If you overwhelm the customer with too much information and persuasive verbiage, you could actually miss hearing the client say “yes,” or you could simply turn them off due to information overload. Silence is also a good tactic to build up a bit of tension, which puts the customer on the spot to say something. If the pitch and close have gone well, there’s a good chance you’ll receive a positive response. Every industry has at least a few companies offering similar products and services. This concept certainly applies to the coaching field. So, when trying to close a sale, never speak negatively of your competition. Doing so can hurt your credibility. Instead, praise your competitors and what they offer, but be clear in how your coaching offerings are superior or how your pricing is more desirable. In many cases, if a deal is not sealed by a certain date, it may never happen or could be significantly delayed. So, throw in this tactic if it applies. For example, tell the client that a decision must be made today for them to receive the full benefit of your advice so that they can start seeing better results as soon as possible. While this might put some pressure on them, it can turn out to be successful if the client knows they must say “yes” before it’s too late. In general, people love hearing relatable stories. They also feel good when presented with humor. In sales, you should throw in both to your close when necessary. For instance, give a real-life example of a client who has benefited from your coaching services. Explain how a client’s business went from barely surviving to becoming a leader within a niche market in a short amount of time. As for humor, if you can get the client to laugh, it lightens the mood tremendously and can help lead to a sale faster since people are naturally more apt to purchase something of a bigger price when they’re feeling good. During a close, you must be prepared to answer any questions about your coaching that are thrown your way. You must have as much information as possible in front of you or quickly accessible on your computer. Delaying a close can mean the difference between a very easy sale and one that you’ll have to fight to get. This is why being an expert communicator of your coaching services is imperative. It’s also where experience can carry you quite far. If you’ve been hit with almost every potential question about your services, you’ll be prepared to answer future questions. Making note of any frustrating questions or comments you’ve been stumped by in the past will help you craft and present an effective rebuttal to each one in the future. Bert Seither and The Startup Expert ®, has assisted thousands of startup and well-established small businesses with their business development needs. 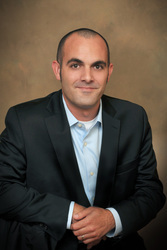 He’s helped thousands of clients in a wide range of industries, gaining insight into a multitude of fields. He’s a, certified small business coach, certified S.C.O.R.E. mentor, licensed tax preparer, author and speaker and has been featured in expert interviews on television networks ABC, NBC, and Fox. What is Personal Branding and How Does it Fit into My Coaching Business?